It is a curious but not unusual phenomenon that one is apt to be critical of one's own culture and appreciative of others'. While Bertrand Russell thunders against European civilization and exalts that of China, Dr Hu Shih depreciates his own (which he ridicules as a 'ricksha civilisation') before the vision of glamour and achievement of American 'machinerism'. It is because, as we Chinese say, 'native ginger is never hot' (本地薑不辣), or is it rather due to the fact that one knows the closets and attics of one's own country too well to be both honest and appreciative of one's own culture? Let us hope that the latter is the case. At any rate, whatever value a culture may have, it deserves study, if only for antiquarian purposes. The race of dinosaurs was probably the ugliest of God's creations, but the Osborns and the Andrews do not therefore desert their calling. From their serious application to their particular field of interest much light has been thrown on the general problem of earthly existences. And how much more so it is with Chinese civilization which may, as Mr Pfeffer thinks, be on the verge of 'collapse,' but which certainly is not yet as dead as the race of dinosaurs. It is therefore with particular interest that we learned of the establishment of a Sinological Institute (Sinologish Instituut) at Leiden, Holland, under the direction of Dr J.J.L. Duyvendak. Europe's interest in Sinology is only of recent date. In spite of Leibniz's counsel for a closer study of things Chinese and Witsen's Noord en Oost Tartaryen, it was not until 1815 that the first chair was founded in the Collège de France for the Chinese and Tartar Languages. Since the beginning of the last century, however, closer trade relations between the West and China have led to a larger acquaintance with Chinese philogophy and letters on the part of some Europeans. Some of the far-famed Chinese novels began to be translated, among which Wilhelm Grube's version of the Fung Shun Yen Yi (封神演義) is a remarkable achievement. Other Germans who have interested themselves in Sinology are Forke who translated, inter alia, the Book of Motze, and Wilhelm, the famous author of The Soul of China. Among Frenchmen, Henri Cordier of course stands as the most eminent Sinologist without, however, belittling the achievements of Pelliot, Couvreau, Chauvannes and Maspero. 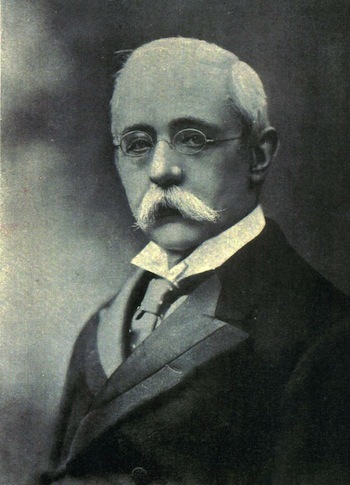 In England James Legge was one of the pioneers in Chinese studies, and he has been worthily succeeded by Giles and Soothill. But it is in Holland that an attempt has been made to make the study of Sinology an independent institution. The efforts of Groot and Granet have been brilliantly continued by Dr Duyvendak who ranks as one of the world's outstanding Sinologists. It is his endeavor that has brought into existence the Sinological Institute in Holland. Purely scholarly motives will help to dispel much of the suspicions of the Chinese of foreign Sinologists, such as the recent action of the Chinese government in regard to Sir Auriel Stein's explorations. Both fact and consideration for China's rights in things Chinese will not only be necessary for the continuous development of the study of Sinology, but also indispensable as conditions precedent for the very existence of the Institute. No river can flow whose source supply is stopped. China is the source supply for Sinologists, Chinese or foreign, and the latter will find themselves without raw materials should they by any action arouse the antagonism of the Chinese. Modern scholarship has become and international affair. Many of the sciences have now an international tongue intelligible to the German as well as the Englishman, to the American as well as the Frenchman. Studies like physics and chemistry are now aided by monthly 'abstracts' in which will be found the results of all researches in all parts of the world. It is only in accordance with this modern trend that the League of Nations has established the Committee on Intellectual Cooperation. If the Sinological Institute at Leiden would prosper there is for it nothing more urgent than to establish cordial relationships and cooperation with Chinese organizations of similar nature. The Academia Sinica is only one of the many of such organizations. Doubtless, Dr Duyvendak must have learned of its existence, and out mentioning it as a possible body with which to cooperate comes from our desire to see a fuller development of Sinology as a scholarly study.